Working with Ashley and Jomar on this project was a true pleasure! Ashley sent me a type of “mood board” with images that represented their upcoming wedding’s aesthetic. She included photos of flowers, shoes, dresses and links to their venu. 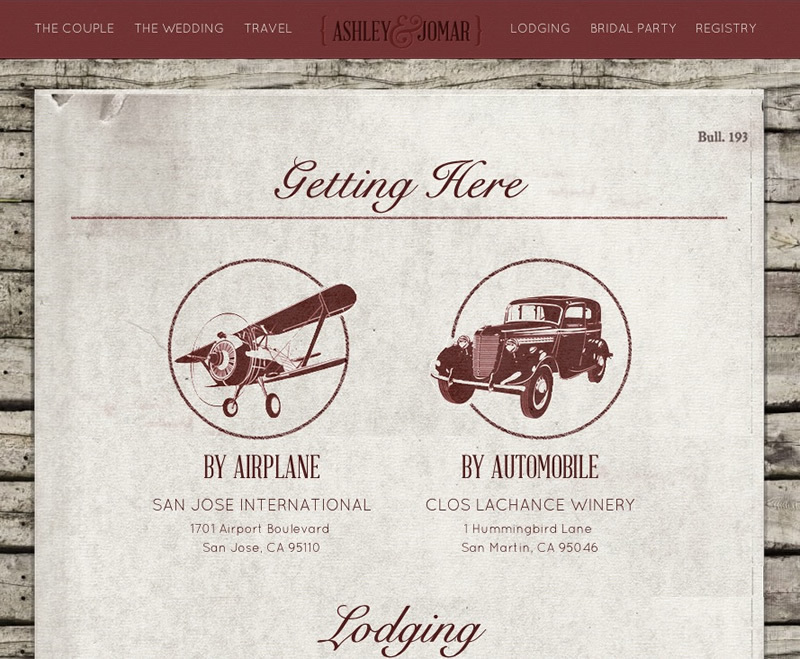 With all of those pieces as inspiration, I created their site with a mix of modern and rustic vintage to capture the mood of their upcoming wine country wedding. Since a wedding is a once in a lifetime event, we didn’t need this content to be dynamic! I hand-coded Ahsley and Jomar’s site with HTML5/CSS3, using a lot of fun CSS3 based animations and effects. I also used some jQuery based animations for the single page navigation slide effects and the parallax slider. 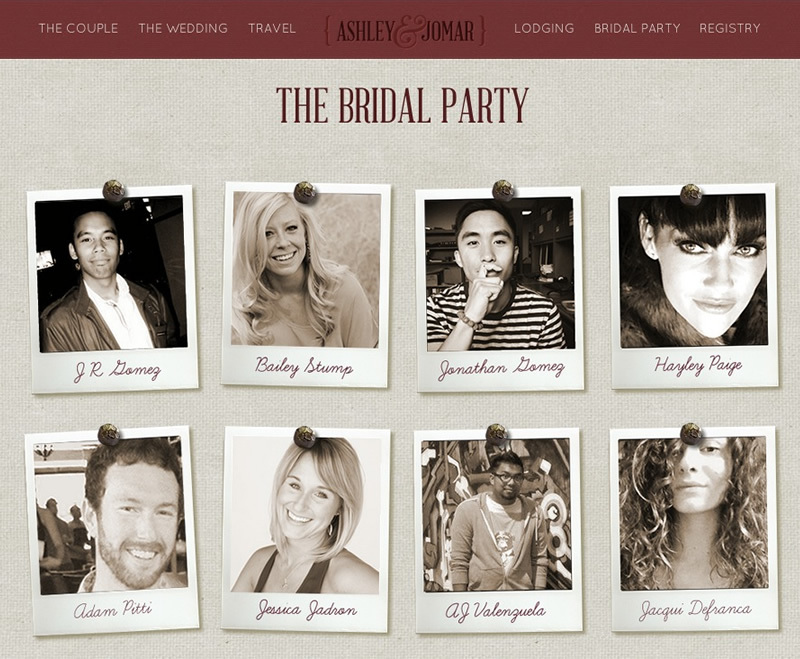 I host this site for Ashley and Jomar and provide maintenance and support as needed.